Trust litigation often involves substantial assets – and it can get complicated fast. When faced with trust litigation, you want help from an experienced trust litigation attorney who can completely safeguard your interests. The responsibilities of setting up a trust and managing a trust are immense challenges to anyone. They are bigger challenges if a financial dispute emerges between a trustee and one or more beneficiaries. If you find yourself in that circumstance, be sure that you have the guidance and experience of an experienced Oakland trust litigation attorney with the law firm of Geonetta & Frucht who can help you find legal solutions to these matters. Most trustees and beneficiaries have little familiarity with trusts, trust law, estate law, or the probate and estate planning process. Working alongside an experienced Oakland trust litigation lawyer is essential in any dispute regarding trusts and estates. Whether you are a beneficiary or a trustee for a family member or loved one, having an experienced Oakland trust lawyer and estate lawyer from our law office on your side will help you handle any trust-related dispute that emerges. 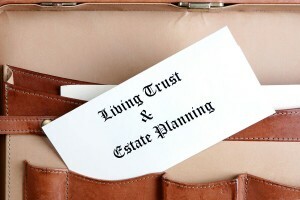 The distribution of an estate is a complicated and challenging procedure. It becomes much more complicated if a disagreement becomes a contentious legal issue. Having an experienced trusts and estates law attorney on your side is a must. Our lawyers have provided counsel to clients in cases involving estate, living will, probate litigation, and trust law issues. An Oakland trust litigation lawyer at the Alameda County law firm of Geonetta & Frucht offers the advice, resources, and representation you’ll need to resolve disputes over wills, trusts, and estates fairly, equitably, and justly. At Geonetta & Frucht, our decades of experience merge with our knowledge of California trust administration and probate law. That combination benefits you. Our employment attorneys can guide and direct you through each step of the legal process and use every appropriate legal tool on your behalf. If you are involved in a dispute regarding a trust, discuss the situation immediately with an experienced Oakland employment lawyer. Please contact Geonetta & Frucht via the online form on our site or call our offices promptly at (510) 254-3777. We currently have law offices in Oakland and the San Francisco Bay Area. Your first consultation to discuss our legal services with a member of our team is free.